Although cyber-attacks have traditionally implicated more liability-leaning coverages, several attacks in recent years should give property insurers cause for concern going into the future. Hackers have proven they can seize control over governmental and industrial computer systems and manipulate them to cause tangible—and substantial—real-world property damage. Armed with the ability to cause real-world property damage, sophisticated computer criminals will undoubtedly target the systems of critical, and vulnerable, U.S. infrastructure operations, looking to cause catastrophe-level property destruction. They could be successful. Property damage from cyber-attacks is not only possible, it has already happened. In 2000, a hacker infiltrated the computers of a wastewater management system in Queensland, Australia. Over the course of two months, the hacker broke into the system 46 times, instructing it to spill hundreds of thousands of gallons of raw sewage into rivers, parks, and public areas. In 2008, hackers used a program known as Stuxnet to access and disrupt the operations of an Iranian nuclear facility being used to enrich uranium. The uranium enrichment process required the operators to precisely control the speed of the centrifuges in order to produce viable uranium. Knowing that precise control over the centrifuges was absolutely critical to the enrichment process, the hackers used Stuxnet to manipulate the speed of the centrifuges, making them spin wildly out of control. At the same time, the hackers made it appear to the facility operators that the centrifuges were operating correctly, even though in reality they were tearing themselves apart. By altering the speed of the centrifuges, the hackers destroyed the operators’ ability to effectively enrich uranium. In 2014, German officials confirmed that hackers with advanced knowledge of both IT security and industrial processes seized control over a German steel mill, compromising components and systems, rendering the mill unable to shut down a blast furnace in a regulated manner, which resulted in “massive”—though unspecified—damage to the mill. And in 2015, hackers infiltrated the controls of three regional electric power distribution companies in the Ukraine, shutting down a power grid and impacting more than 225,000 customers. Highly sophisticated, well-trained, well-funded hackers hijacked the credentials of workers at the control center and used those credentials to access the systems that controlled the breakers. In a coordinated attack, the hackers reconfigured the systems, blocking out the operators; turned off power to the grid, plunging customers into the dark; and launched a secondary denial-of-service attack against customer call centers, preventing customers from reporting the power outage. Although the power wasn’t out for long—between one and six hours—the control centers weren’t fully operational for months after the attack. U.S. infrastructure is vulnerable to attack. The Department of Homeland Security lists 16 critical infrastructure sectors “whose assets, systems, and networks, whether physical or virtual, are considered so vital to the United States that their incapacitation or destruction would have a debilitating effect on security, national economic security, national public health or safety, or any combination thereof.” Indeed, cyber-attacks on these sectors—which include dams, energy companies, chemical facilities, nuclear facilities, and water and wastewater facilities—could be catastrophic. 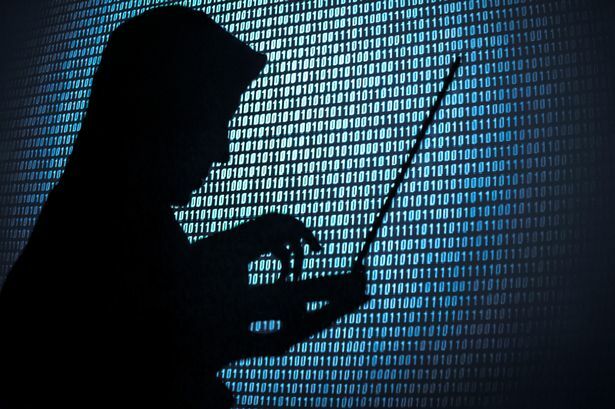 It is impossible to eliminate the threat hackers pose when a system is connected to the internet. (Even when a system is “air gapped” (having no direct connection to the internet) safety from hackers, is still not assured.) Protecting these facilities is critically important, since many of them are particularly susceptible to cyber-attacks. Over the past 25 years, hundreds of thousands of old analog control systems in these facilities have been replaced with digital systems connected to the internet. Any device that is computer-controlled and connected to the internet is vulnerable to hacking. Not only are these systems vulnerable because of their internet connectivity, but many of these systems were built without cyber security in mind. Even where security measures, such as software firewalls, are used, the software can be misconfigured or circumvented by human error, allowing hackers access. These concerns aren’t overblown. Indeed, hackers have already targeted and accessed such systems in the U.S. Such hacks often require little more than Google searches and default passwords to succeed. Indeed, in 2013, Iranian hackers were able to access systems into the Bowman Avenue Dam in Rye Brook, N.Y. using nothing more than a simple, legal search engine that surfs for and identifies unguarded control systems online. Although hackers have not yet caused catastrophic property damage in the U.S., efforts to accomplish precisely that are clearly ongoing by various actors. Cyber-attacks may lead to catastrophic property loss. It’s not hard to imagine the type of catastrophic property loss that could occur if hackers effectively took control over critical infrastructure. In the real world example of the Iranian hackers who broke into the control systems of the dam in New York, the hackers could have caused a flood by manipulating the dam, damaging or destroying homes in the area. Attacks on industrial, nuclear, or chemical facilities—similar to those on the Iranian nuclear facility and German steel mill noted above—could cause unsafe conditions that lead to a chemical spill or explosion that, in turn, leads to large scale property loss. Similarly, an attack on a railway company could cause a train carrying explosives or hazardous or combustible materials to derail, causing substantial damage to property. Indeed, there are any number of scenarios where hackers could cause catastrophic property loss by seizing control over vulnerable infrastructure. The takeaway is this: Insurers covering the risk of property loss from cyber-attacks should be aware that the risk of loss is very real given the vulnerabilities in critical U.S. infrastructure and the increasing sophistication of cyber criminals and that the scope of property loss from a well-coordinated attack could be akin to traditional catastrophes. Return of the Polar Vortex? ?